Wine & Bites takes you to California! Wine & Bites takes you to California! 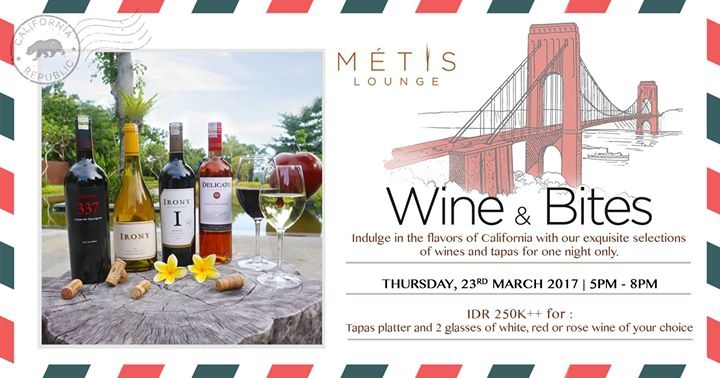 Join Metis as they take you to explore exquisite wines and tapas from California’s diverse regions. IDR 250K++ for tapas platter & 2 glasses of white, red, or rose wine of your choice.